Do you have a decorative fireplace? That’s the opposite of dangerous, but you still shouldn’t let it be alone. 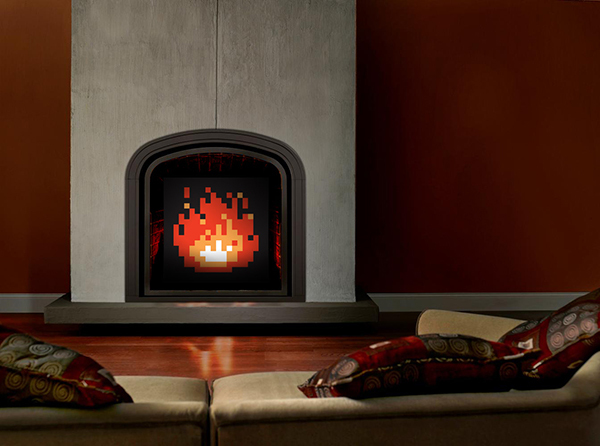 Equip it with the Zelda Fireplace Art, aka The Lazy Man’s Fireplace: set it and forget it. You don’t have to worry about it burning out or burning your house down. 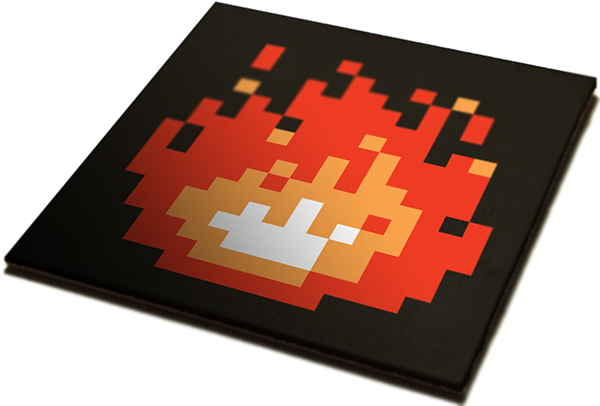 The painting depicts the fire graphic from the Legend of Zelda game and can be ordered on canvas or wood. You can order the Zelda Fireplace Art from James Bit Originals on Etsy. The list price is $110 (USD), but prices may still vary depending on the measurements of your fireplace. If you’d rather have something a bit cleverer – 8-bits cleverer to be exact – you can also try making a papier-mâché version of the graphic.